Created in 2006, Singapore and Asian Schools Math Olympiad (SASMO) is one of the largest math contests in Asia. It has expanded from 155 local participants in 2006 to more than 29 000 participants from 19 countries in SASMO 2018. The SASMO Team with the support of Advisory Council spend countless hours carefully developing contest papers which will touch on both school and Olympiad maths. This combined effort allows participants to do better compared to pure-Olympiad papers, since they are familiar with some questions and are able to put on their thinking caps for others, bringing out the inner mathematician in them. With realistic and high standards, SASMO contests aim to stretch the untapped thinking potential of the student population, their participation in SASMO will help them improve in school mathematics as well as higher order thinking skills. 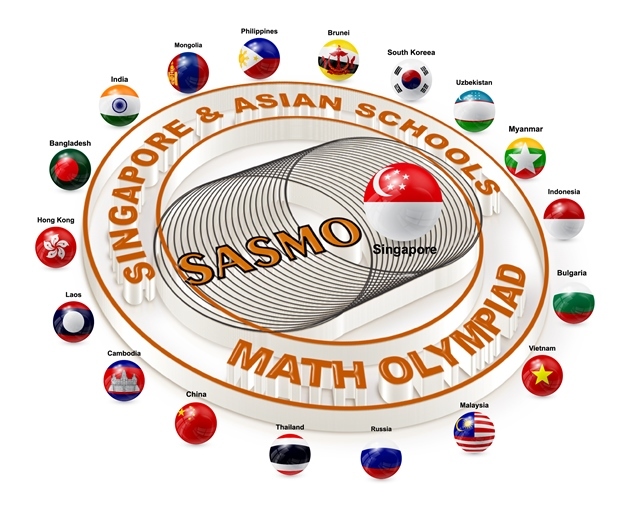 SASMO is one of largest math contests in Asia. to develop mathematical intuition, reasoning, logical, creative and critical thinking.